Every spring is always an exciting time, full of new opportunities of trophy fishing and the well welcomed warm summer days that makes the memories of winter melt away. However with each thaw and ice break, the Northern Ontario wilderness also has its own share of surprises for those who live in the bush. 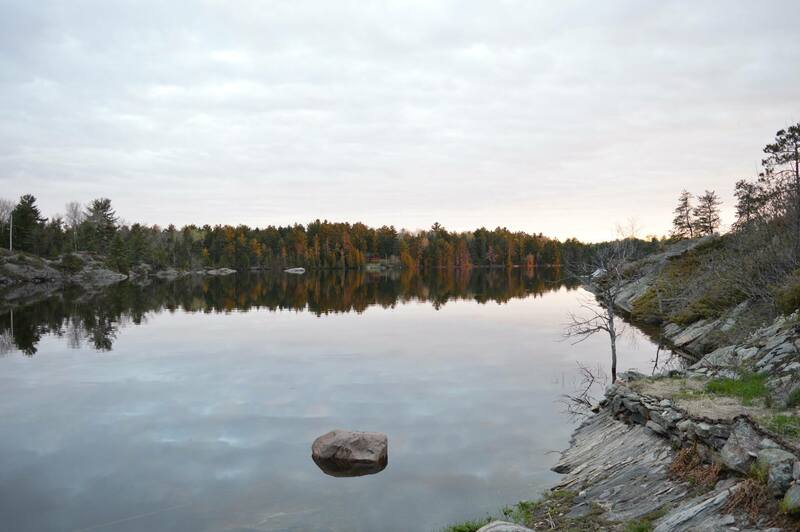 Sometimes these surprises can be as mundane as a missing step off your front porch, a limb sticking through the roof of your cottage over the bathtub to even the more extremes of a staircase deciding “to walk off” and swim halfway down the French River System. But there are also years that come with pleasant surprises where the frigid winds and waters did not freeze or bust equipment or structures. For the 2017 Spring thaw, it was fortunately for us one of those years. This allowed us the time needed to focus on other projects we couldn’t finish in the fall of the previous season that we knew needed to be done in order to maintain happier clientele. 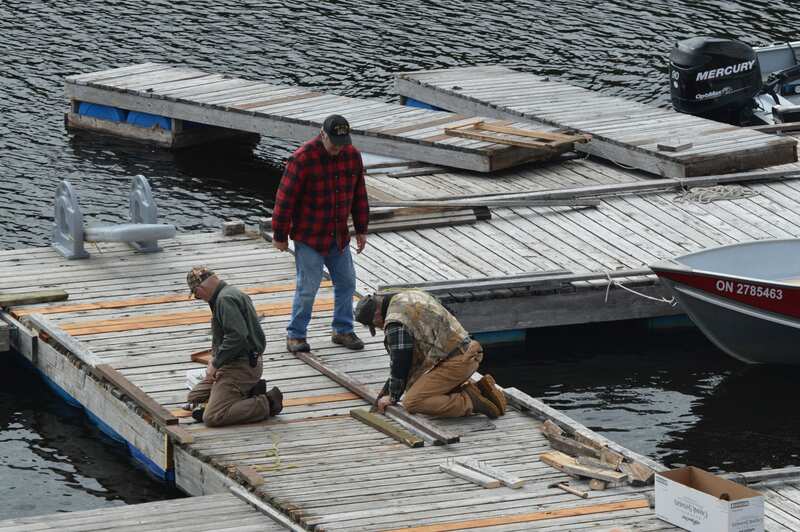 As fortunate for us the front dock had survived well into two decades with the original cedar frame, upon inspection of our arrival we realized much of the framework was needed to be replaced and rebuilt to maintain safety. During the process we scavenged the hinges, barrels and wood that were still viable for use as we redesigned and repaired the dock to meet the needs of customers with boats that exceeded 20 feet and added more surface area for stability for older repeat clientele. 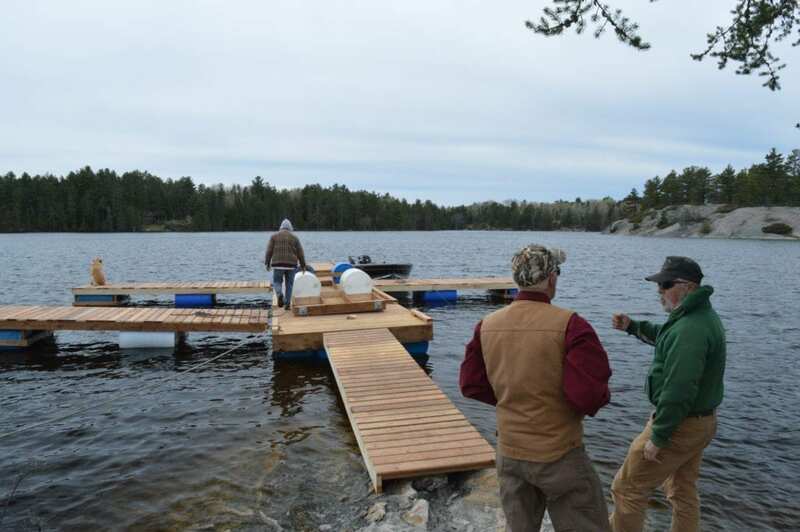 The work took an approximate three days to remake the front dock with the help of our dedicated crew.